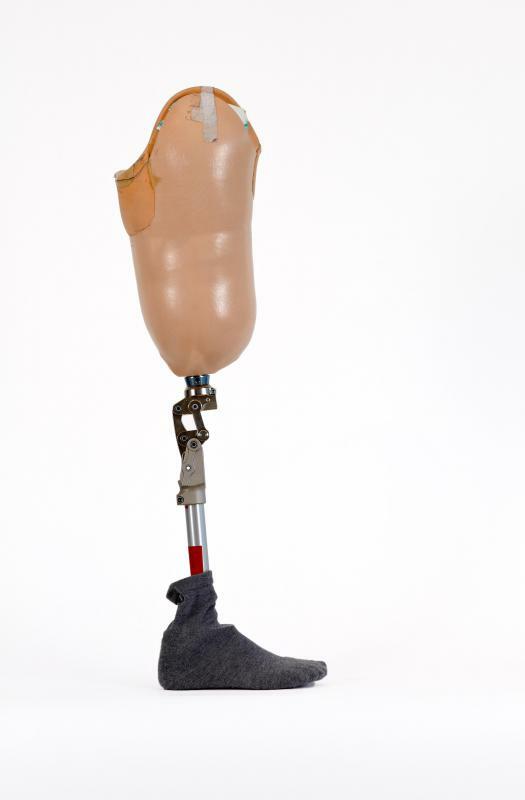 People who have to use a prosthetic limb may undergo rehabilitation treatment. Substance abuse treatment typically involves detox and counseling. 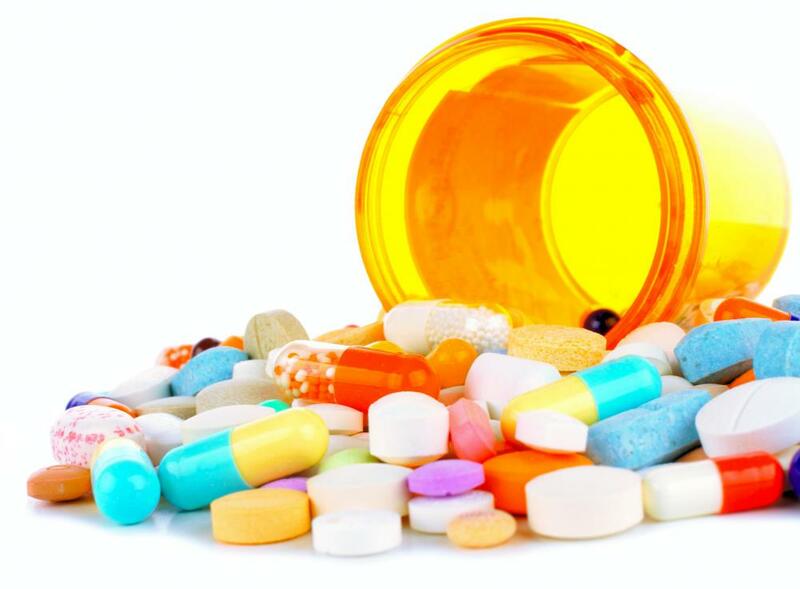 Prescription painkillers may be part of a rehabilitation program. Physical therapy may be part of rehabilitation. As related to matters of physical and emotional well-being, rehabilitation refers to any process that seeks to restore the patient to a previous level of health. Different types or expressions of the rehabilitative process will focus on the task of restoring at least some function to a damaged body part or utilizing the process of education to equip the individual to compensate for damage that cannot be repaired. At its core, rehabilitation has the goal of assisting individuals to achieve the highest quality of life and health as possible within their circumstances. 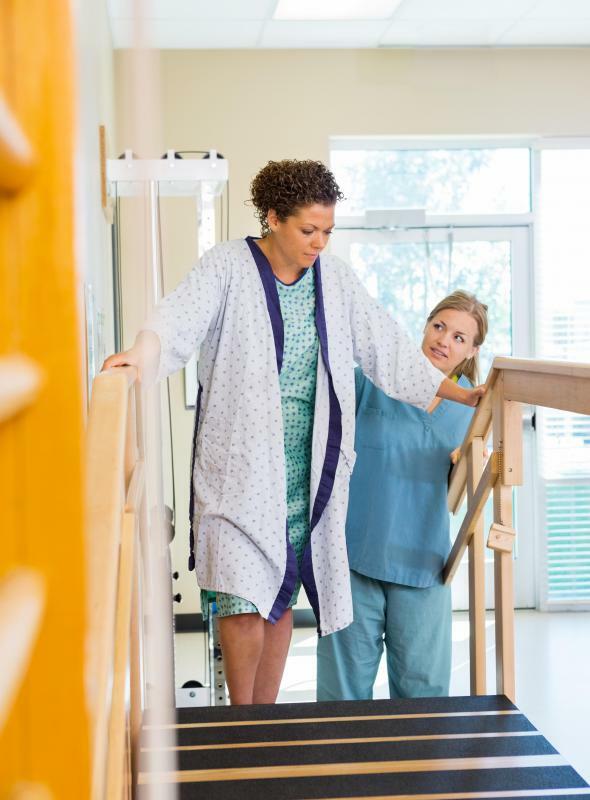 Physical rehabilitation is a common form of this restoring process. Often utilized after major surgery, an accident, or any event that robs the individual of mobility or function, this form of rehab pairs the patient with trained personnel who help him to recover as much of his former physical prowess as possible. In some cases, the physical therapy used as part of the process is aimed at rebuilding the strength of limbs that may have been damaged in an accident, but are now healed and in need of physical exercise. At other times, the physical rehab may be focused on helping people who have lost a limb learn how to function effectively by expanding their use of the remaining limbs. Addressing emotional issues is often part of the process. This is especially true in situations where physical damage was accompanied or followed by emotional trauma. In situations of this nature, the rehab process often involves counseling with a qualified therapist as well as physical retraining. The patient may engage in therapy on a one-on-one basis with the therapist, or be part of a group therapy arrangement that allows him or her to interact with other people facing similar challenges. Drug rehabilitation is a form of retraining that also is likely to involve both physical and emotional counseling as part of the rehab process. Physical factors can involve helping the addict to deal with physical cravings, while counseling is helpful in weakening the emotional bonds that tie the addict to his or her drug habit. Drug rehab may take place in a center, especially if there are other health issues that must be addressed during the rehab process. However, many people are able to overcome addiction and become fully recovered through regular participation with substance abuse counseling groups or by spending time in a halfway house. It is not unusual for a rehabilitation center to deal with several different types of physical and emotional issues. The center may include facilities that provide supervised exercise sessions to help people recover physical strength lost during an extended illness, as well as counselors and other support personnel to aid in the recovery of the mind. Often, centers of this type actively measure the progress of each patient, making it a point to provide an atmosphere that is welcoming as well as encouraging. What are the Different Types of Vocational Rehab? What are the Unique Challenges Facing Rehabilitation Patients? Frequently, eligibility for services is determined on the day of application. You can speed up the eligibility process by coming to the office with medical information concerning your disability. When documentation of the severity of you disability or how it affects your ability to work is not apparent or readily available, additional time is needed to gather this information. The time it takes to reach your employment goal depends upon your individual needs. @cmsmith10: I agree with boathugger. My son was a drug addict for many years. He was court ordered to complete a short term rehab. It lasted for 21 days. He didn’t want to be there and was counting down the days before he could leave. When he first got out, he did well. After 3 weeks, he was using again. I did some research and found a great rehab program that was 4 months long. They were very strict and he couldn’t have visitors for the first 8 weeks. They focused 100% on rehabilitation. He completed the program and has been drug-free for 2 years. @cmsmith10: Drug and alcohol rehabilitation doesn’t have a set amount of time for it to work. There are several factors that determine the success of rehab. For one, the person has to want it to work. Sometimes, drug rehab is ordered by a judge and the person is only going because they have to. In those cases, there is a very good chance that they will come out of rehab and still do drugs. Short term rehabs (7-21 days) do not have as much success as the long term rehabs. For example, a 10 day rehab may be successful at detoxing someone but 10 days is not long enough to teach them how to live drug-free. term rehabs incorporate 12 step programs and require that you attend AA or NA meetings daily. There are counselors on staff to individually work with the addict and provide them with tools needed to live a drug-free life. A 6 month program has much more success than the short term programs. How long does a person need drug rehabilitation for it to work?